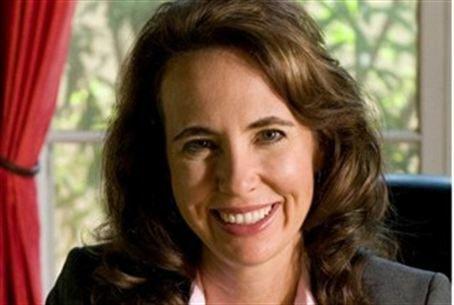 Doctors say they are "optimistic" about recovery of Jewish US Rep. Gabrielle Giffords, shot in the head on Saturday. Nine year old, judge killed. Doctors say they are "optimistic" about her chances of recovery, but the prognosis for the first 24 hours is guarded following surgery to save the life of a firm friend of Israel, U.S. Representative Gabrielle Giffords. The Jewish lawmaker was shot in the head by a 22-year-old gunman with a pistol at point-blank range Saturday afternoon local time. He was wrestled to the ground by witnesses at the scene and taken into custody. According to the Associated Press, the gunman was identified as Jared Loughner. He raced up and began shooting as the 40-year-old Arizona Democrat was addressing her constituents at a "Congress on Your Corner" event held at a local supermarket in Tucson. At least five people were killed in the rampage, AP reported, including a federal judge and an aide to the Congresswoman. Several of her staff were among the wounded as well. A doctor at the University Medical Center told reporters that one of the victims, a nine-year-old child, had died. Five others, including Giffords, were out of surgery and were listed in critical condition but holding their own; Giffords, he said, was responding to commands. Another five victims were undergoing surgery. Giffords, who is in her third term in office, was airlifted to a local hospital immediately following the shooting. She is married to astronaut Mark Kelly. President Barack Obama called the shooting "an unspeakable tragedy" and said that such "a senseless and terrible act of violence has no place in a free society." Giffords once began an op-ed piece for the Arizona Jewish Post with a proud recital of her family roots, explaining that she is the grandchild of Akiba Hornstein, who was “the son of a Lithuanian rabbi.” Her grandfather changed his name, she said, as did so many others who came to United States, to Giffords “for reasons of anti-Semitism.” More than 50 years later, “like my grandmother, I am a lifetime member of Hadassah and now a member of Congregation Chaverim,” she wrote. During her tenure in the Arizona State Senate, Giffords had the opportunity to visit Jerusalem. “It was one of the most memorable experiences of my life,” she said.